This editorial, authored by International Space Safety Foundation President Joe Pelton and Space Safety Magazine Editor-in-Chief Andrea Gini was first published by Space News on October 15, 2012. It is republished with permission of the authors and publisher. The SpaceX launch of its Falcon 9 rocket and an unmanned Dragan capsule in May lights up the sky as it streaks over a model of NASA’s now-retired space shuttle (Credits: Craig Rubadoux). The launch of Sputnik in October 1957 gave rise to the space race – born of the Cold War. The Cold War can be credited with giving birth to ICBMs, the Race to the Moon, MIRVs, Anti-Ballistic Missiles, and space surveillance systems. Even the GPS system was designed not for commercial navigation, but for targeting warheads. Many civilian space agencies have been driven for strategic national objectives. New competitive business models can spawn rapid breakthroughs in space that leapfrog the constraints of conventional military and official space agencies. 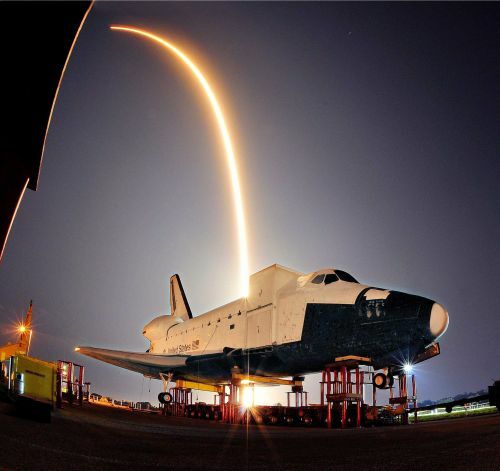 These unconventional approaches have included the X-Prize competition, the remarkable SpaceShipOne design, Bigelow’s attempt to deploy private space platforms, the Stratolauncher project, and Space Exploration Technologies’ vertically integrated approach to developing the Falcon 9 Launch vehicle. These innovators have climbed outside the box of “official” space programs. To enable the success of these new commercial space efforts we must look to new models for advancing safety. Maritime shipping, oil rig drilling, Formula One racing and aircraft design may show us meaningful models for regulating space safety in new and progressive ways. The time has come to explore very seriously if new forms of industry-supported regulation and safety oversight systems–ones that have worked successfully in other industries—could provide swifter answers. Michael Listner and Simonetta di Pippo, who are active within the International Space Safety Foundation (ISSF), have recently noted that the maritime industry–and its insurers–have relied for some 350 years on Maritime Classification Societies to create safety standards that the Lloyds’s Register of London uses to insure ships at sea. Tommaso Sgobba, President of the International Association for the Advancement of Space Safety (IAASS), has noted the considerable success of the Fédération Internationale de l’Automobile Institute in undertaking research to significantly increase the safety of racing vehicles. Consider the findings of the Deepwater Horizon disaster review team: ““The gas and oil industry…. should establish a ‘Safety Institute’ […] an-industry created, self-policing entity aimed at developing, adopting, and enforcing standards of excellence to ensure continuous improvement in safety and operational integrity offshore”. Yet others have noted the airlines and aircraft manufacturers have largely been able to make great strides in air safety through their own innovations under a regulatory framework that allow competitive upgrades to performance. 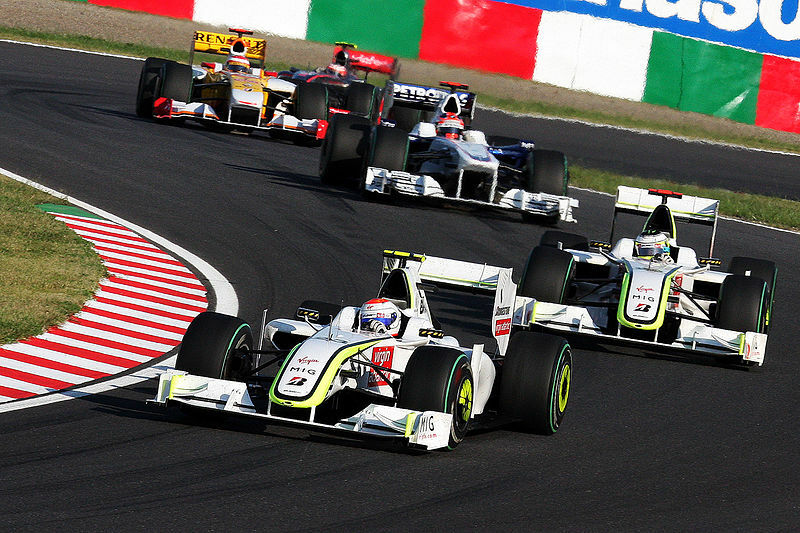 The safety of Formula One racing has been improved by self regulation (Credits: Morio). What all of these various observations mean with regard to the future of space systems and particularly new commercial space innovations is that “governmental controls” over the space industry may well have slowed design innovation. The facts that the last “Moon Landing” by an astronaut was in 1972 and that Neil Armstrong who made the first Moon Landing has now died of old age certainly serves to underline this concern about slow progress in the space arena. So what could be the new way of “Re-Envisioning Space” for the 21st Century? The ISSF and the IAASS, among other initiatives, wish to move ahead with establishing an International Institute for Space Safety. This Institute would champion commercial, university, and independent research institute development of new systems and technology that would advance the field. The opportunity for innovation is almost limitless. There could be “black boxes” to be used on space planes, space systems that could de-orbit from space with much lower thermal gradients, totally-new propulsion and spaceplane survival systems, international funds to reward orbital debris mitigation, and a host of other new ideas could come out of a commercially-backed space industry research initiative aimed at advancing space safety. In short we feel that commercially-backed self-regulation can provide the most rapid progress in the new commercial space arena. This form of independent regulatory-regime could encourage rapid innovation and accelerated testing of totally new space systems. New concepts in safety could advance if governmental regulatory constraints were limited to broad safety policies that could lead to a period of very rapid growth of commercial space systems.How might this be accomplished? Step Two: Development of ever-improving safety and performance standards for space systems and key subsystems that are constantly upgraded with experience and evolving technology and research breakthroughs.